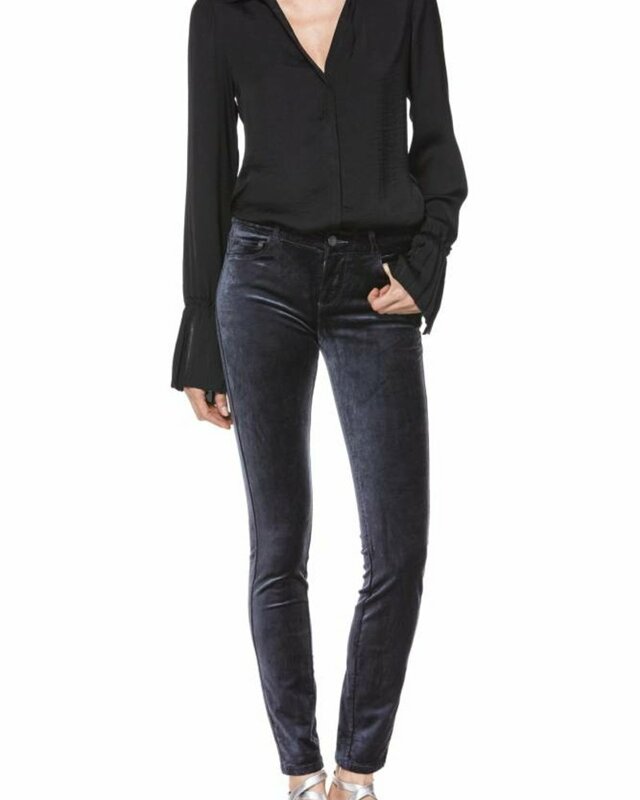 The Verdugo is the perfect mid-rise ultra skinny style. 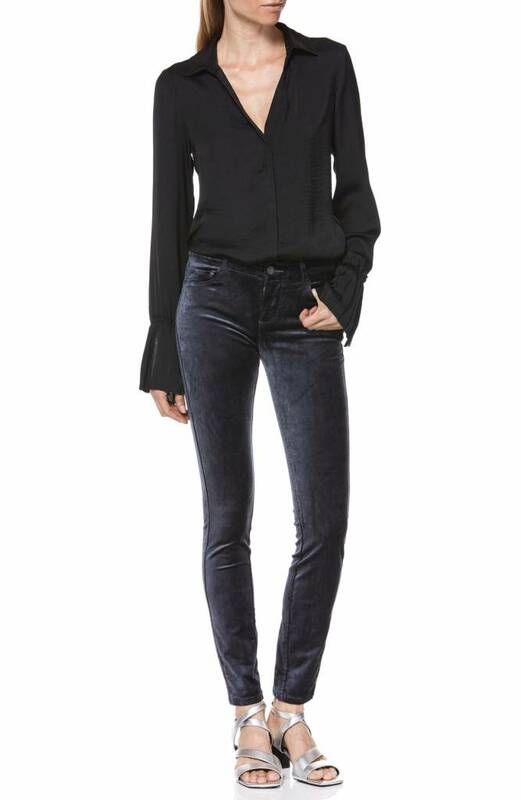 Crafted from stretch velvet, these skinny pants have a lustrous sheen and a very soft, comfortable fit. Featured in a polished blue, this pant is a perfect statement piece that will easily add shine to any outfit.